The renovation of 300 km of Bulgarian roads for a total of BGN 130 M under the EU operational program Regional Development begins Thursday. 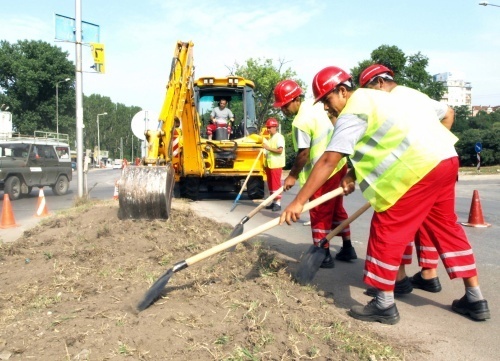 The start will be marked with a groundbreaking ceremony on the road connecting the northeastern city of Dobrich with the Romanian border where BGN 5 M will be used in the next 3 months to renovate 16 km. The Minister of Regional Development, Rosen Plevneliev, promised that groundbreaking ceremonies will take place every other day in September, saying 14 road sections will be renovated. According to Plevneliev, 2011 will break the 2007 record when BGN 200 M was invested in the country’s roads. The amount for 2011 is BGN 500 M to be used for another 16 road sections or 311 km. On Wednesday, the Finance Ministry received letters asking for an additional BGN 61 M for the financing in 2011 of road projects that are being realized with loans from the World Bank and the European Investment Bank.